Looking for a city document or fact to help with your article or research on Measure A and the Hillview Community Center project? Here's our city sourced documents we have found in our investigation of Measure A and the Hillview Community Center project. Let us know what you'd like to see... we'll put it up to share. Fact: Estimated tax rates in the first 5 years following construction average will average over $30+ per 100,000. 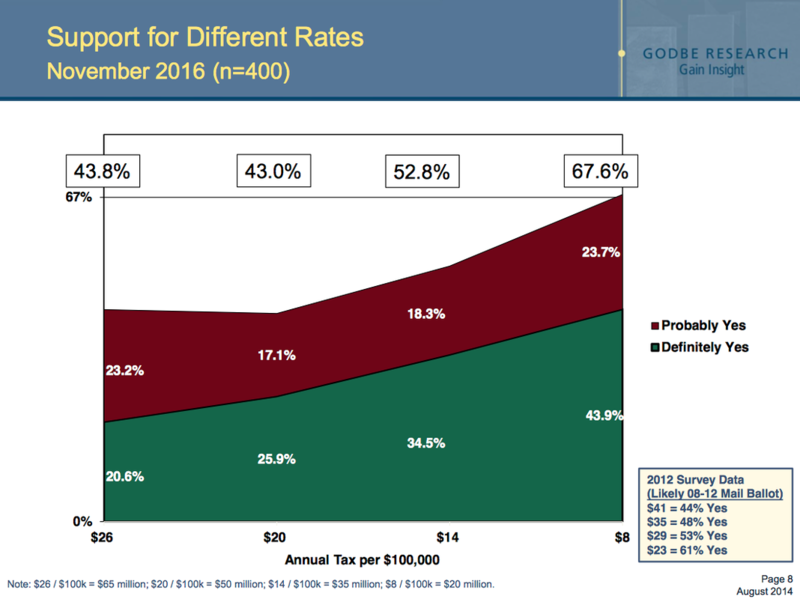 No interest rate increases projected during the bond term. 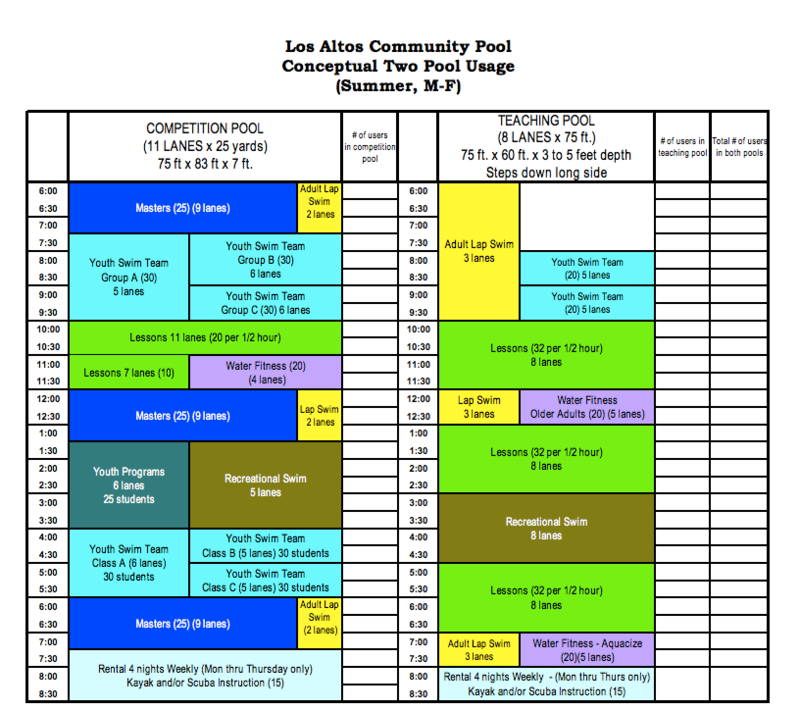 Fact: EIR approved conceptual schedule for 2 swimming pools --competition and teaching pools. 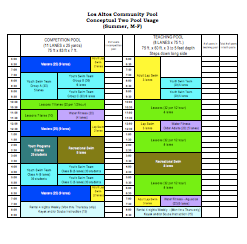 Shows 2 hours of recreation swim time scheduled each day. Fact: A community pool facility ranked dead last in citywide poll, and statistically "not at all important." 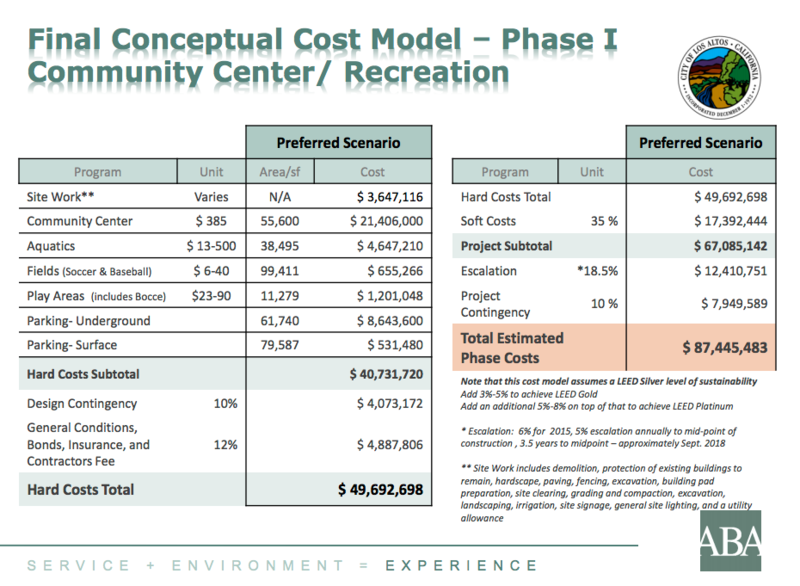 Fact: Conceptual cost model shows $87 million construction cost estimate for core facility elements showing the size/scope of facilities. Funded with Measure A Bond of $65 Million costing taxpayers $134 Million to payback. And $25 Million committed in City Reserves. Net- Net Cost to Taypayers = $160Million. 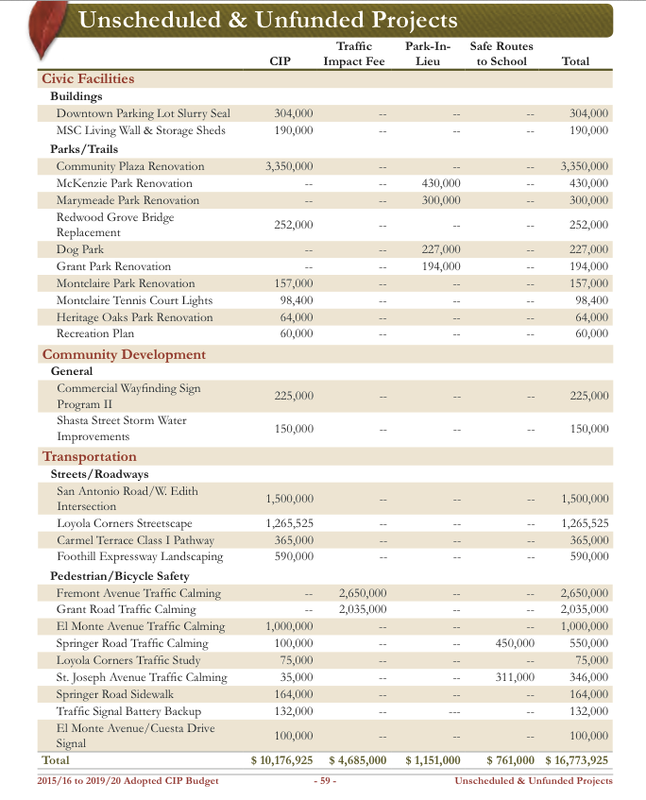 Does not include operating costs, furnishing, maintenance and other costs. 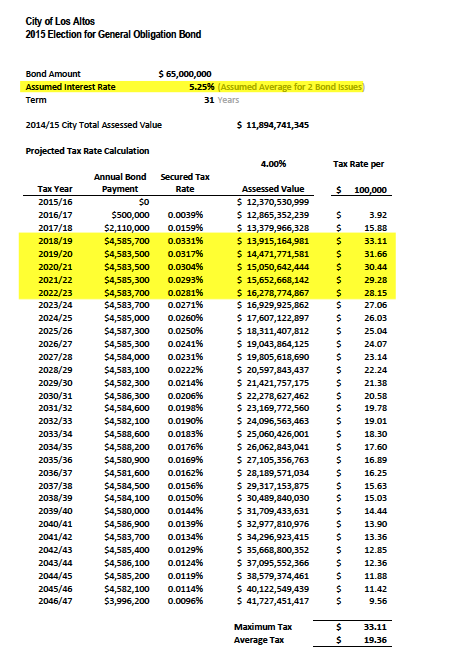 Fact: There is no budget line item for the $25 Million that has been communicated by the City in the ballot materials as "monies set aside from the General Fund" for the proposed Hillview Community project. There are, however, a number of needed projects that are identified and still unfunded in today's budget for traffic calming, other parks and community needs. Unclear what will be funded if this Measure passes. Voter Support for proposed BOND MEASURE A AT DIFFERENT RATES. Fact: Only 43% of voters polled were probably/definitely willing to support the Hillview Bond Measure at a tax rate cost of $20 per $100,000 of assessed value. 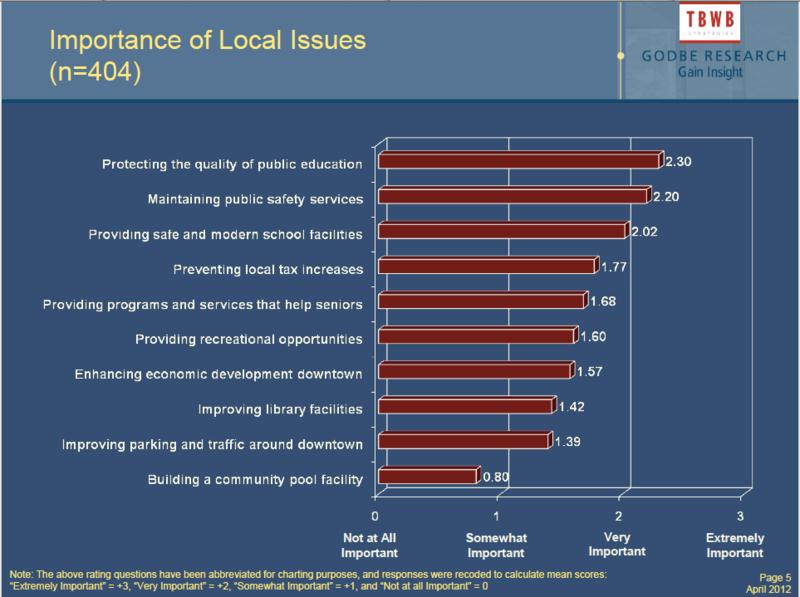 Fact: Feature statements also tested in this marketing poll (without costs) showed greater support, and were additionally skewed due to favorability of facilities presented at little or no cost ("self-supporting) or including the promotion of "open space" that is undetermined in the conceptual project underlying the Measure.